The February 2019 “Crossroads of Rockland History,” was a celebration of the program’s 100th episode. 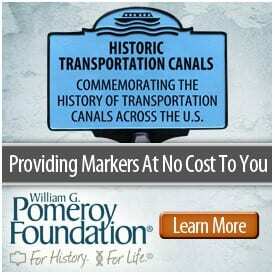 We discussed the most popular programs that we’ve aired since the program first aired in October 2010. 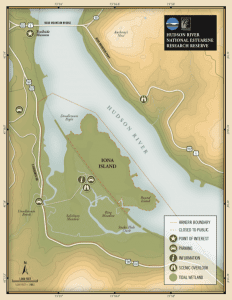 The January 2019 “Crossroads of Rockland History,” featured New City native (now Floridian) and author Frank Eberling who previewed his upcoming murder-mystery Low Tor. Just like his earlier novel Demarest Kill, Low Tor is set in familiar places in Rockland County, and weaves a shady tale of murder on the mountain. 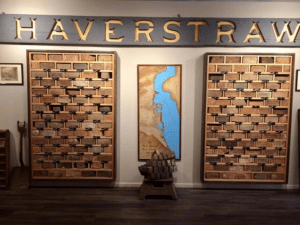 The October 2018 “Crossroads of Rockland History,” featured artist Lisa Levart who spoke about her current exhibition at the Historical Society of Rockland County (HSRC). This exhibition represents the culmination of eighteen months of creative collaboration between Levart and women of the Ramapough Lenape Nation (Rockland and Bergen counties). Levart uses collaged portrait photography as a basis for contemporary reinterpretations of Lenape mythology. On the August, 2018 “Crossroads of Rockland History,” Peter Bush (direct descendent of Jacob Sloat) was on hand to discuss Friends of Harmony Hall ~ Jacob Sloat House. This magnificent house, built in 1848, in the heart of New York State’s historic Ramapo Pass is raising excitement in Sloatsburg, NY, an area which is undergoing an economic revitalization at the moment. As unique as its original owner, the estate was added to the New York State and National Registers of Historic Places on December 22, 2006. 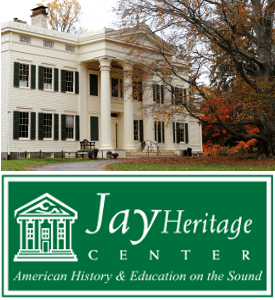 On this month’s on “Crossroads of Rockland History,” Clare Sheridan explored the new exhibition at the Historical Society of Rockland County: “Jawonio: Moving Forward, Looking Back – Changing Lives of People with Special Needs for 70 Years” with Diana Hess (Chief Development Officer at Jawonio). “Jawonio” is a Native American word that means “independence.” Founded in Rockland County in 1947 as the Rockland County Center for the Physically Handicapped & United Cerebral Palsy, Jawonio today is at the forefront of providing services that help people of all ages with special needs reach their potential and achieve independence. 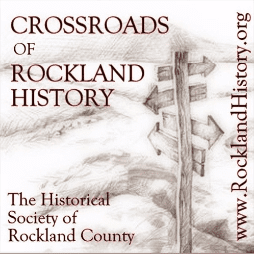 This month on “Crossroads of Rockland History,” Clare Sheridan interviewed Daniel Czitrom, author of New York Exposed: The Gilded Age Police Scandal That Launched the Progressive Era.